Please note, being a natural wool product, colour and pattern variations will occur. How gorgeous is this natural grey Icelandic sheepskin cushion? It is the perfect accessory to create a warm cosy atmosphere, or when you’re looking to add an original design finish to a room. 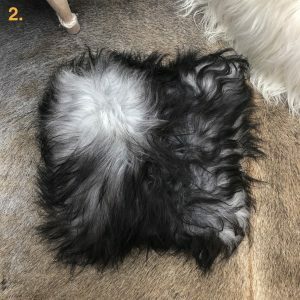 With its signature free-flowing long fleece, the Icelandic sheepskin cushion has a rock n’ roll edge, without losing all the cosy comfort of a soft, natural hair cushion. A variety of fleece length, ranging from 5cm to 20cm, gives this cushion a fun and wild look, while its luxurious softness and varying colour tones that range from silver white to greys and black, keeps it sophisticated. 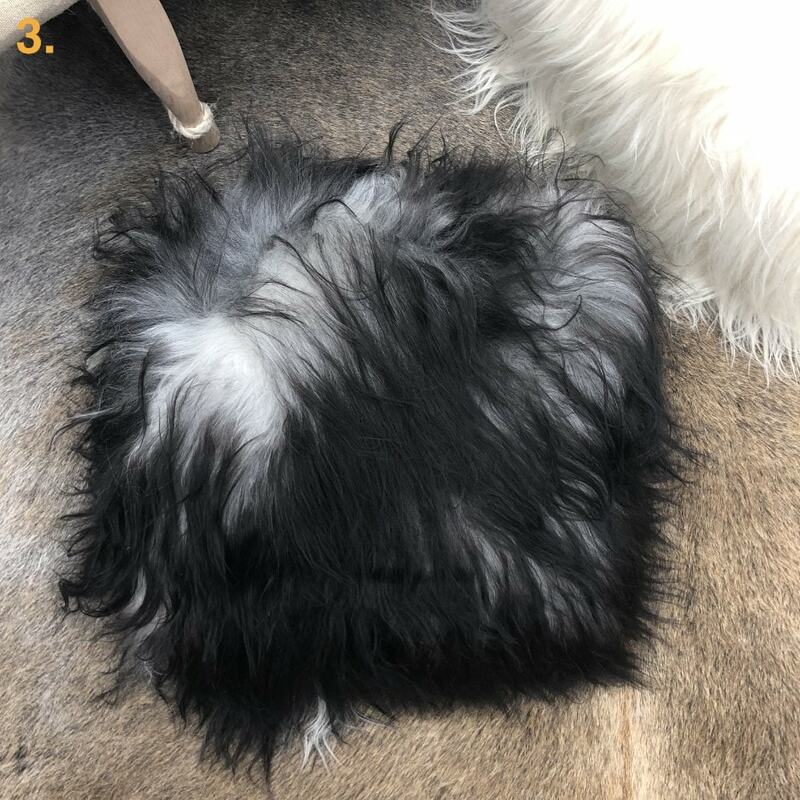 This stunning cushion makes a dramatic statement when added to your favourite chair or sofa, or scattered on your bed for an even more luxurious display. It would be hard to force yourself away from sleep when you’re curled up with these butter-soft cushions! 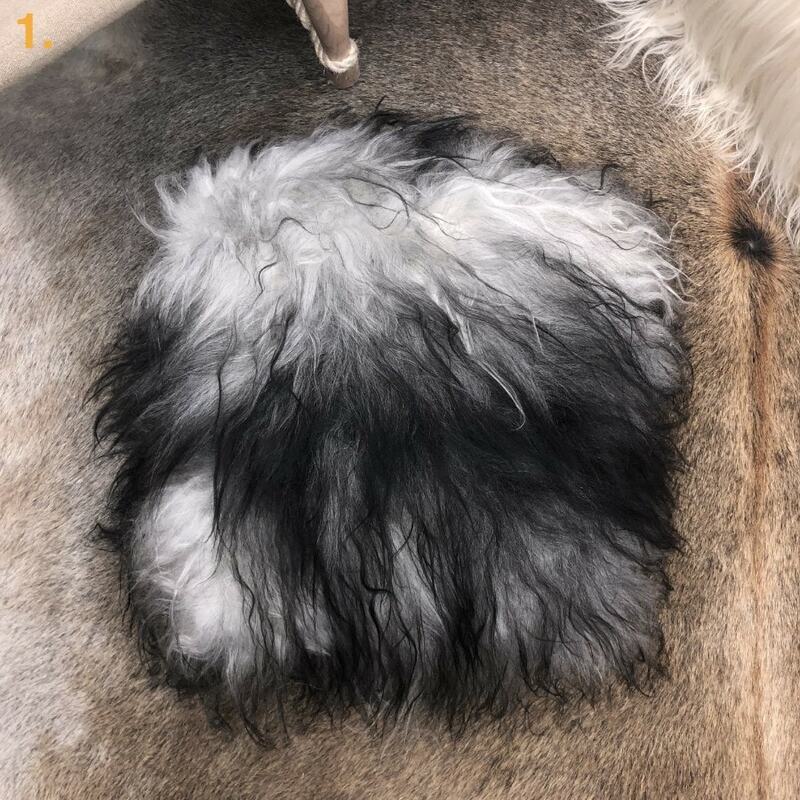 This Icelandic sheepskin cushion also makes a perfect gift for the hip and fashionable young family member, or friend on your holiday gift list. 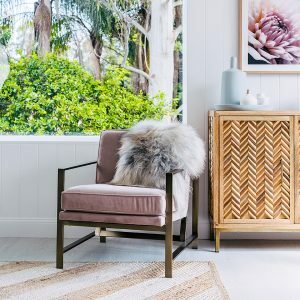 Also loks fabulous when teamed with an Icelandic Sheepskin throw rug. 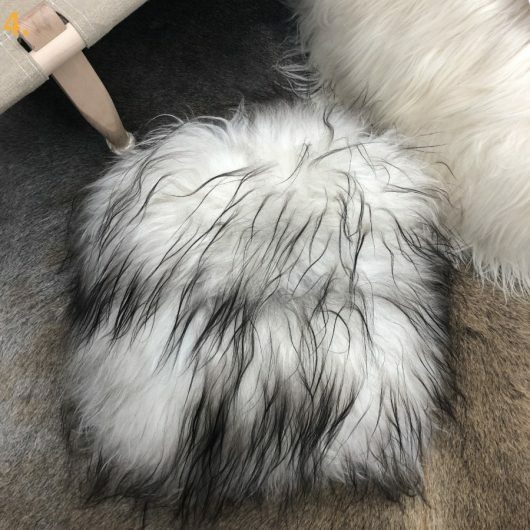 This Icelandic sheepskin cushion is a natural product, produced from ethically sourced sheepskin by-product. No harsh chemicals have been used in the tanning process, so it’s perfectly safe to allow a baby, pet, or anyone else to enjoy this cushion. Please note: This is an all natural wool product and no two cushions will be the same due to the natural variations of a genuine wool product. Images are for reference purposes only. Upon placing your order, if you’d like to indicate a preference for which cushion colouring you want, simply add a note of the cushion image number in the comments section on the Checkout page and we will do our very best to select the cushion colour closest to the one you prefer. Keep up with our latest arrivals and special offers on our facebook and instagram pages. Click on over and say hi, we’d love to hear from you!